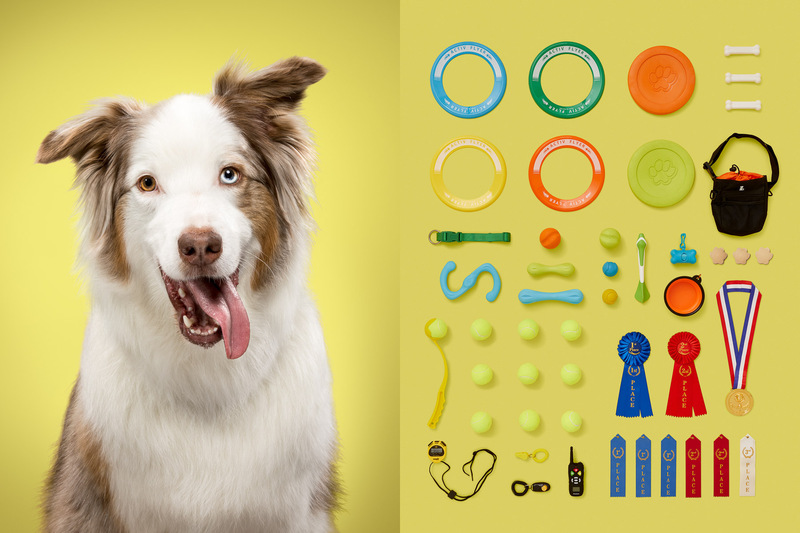 As a dog lover it always makes me happy when photographers attract attention on an international level with new and creative dog photo projects. Ranging from the “Underwater Dogs” to Christian Vieler’s funny dog portraits to Harlow & Sage, whose dog friendship has touched the world. As soon as I come across a new dog photo project, I want and need to share it with you right away. 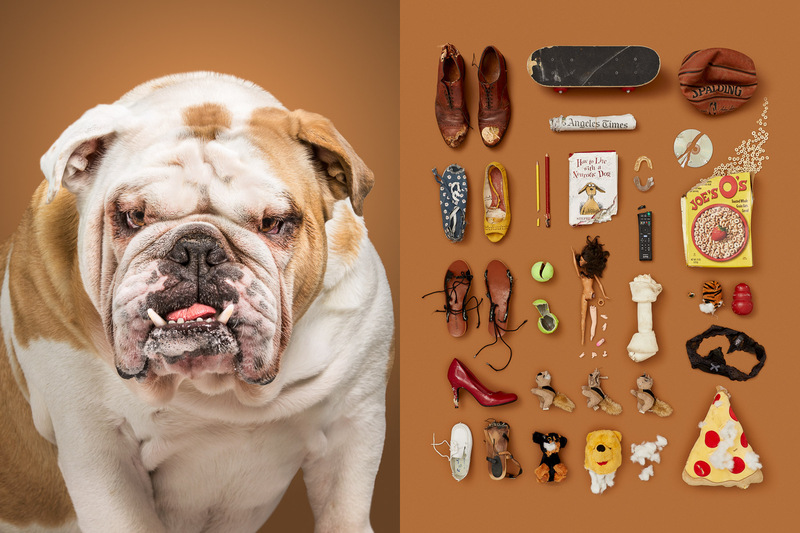 With her project she aimed to photograph diverse dog breeds with their belongings. 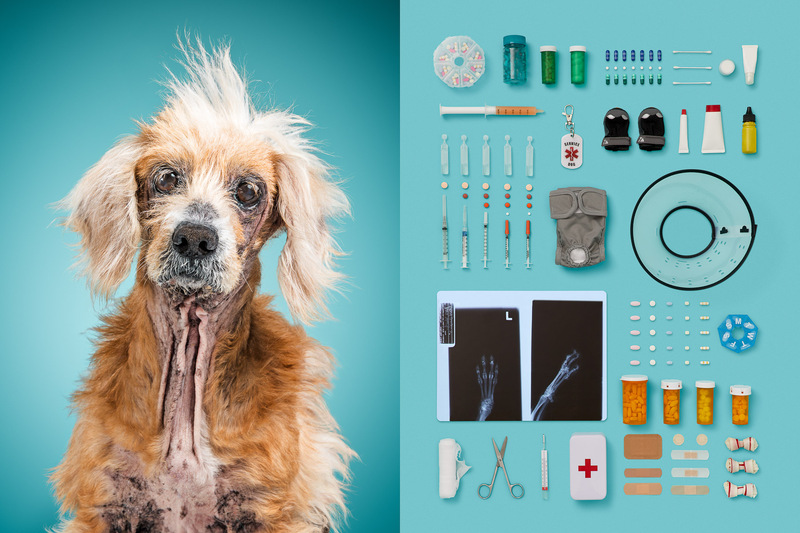 However, as she realized that almost every dog owns the same things and plays with the same kinds of toys, she decided to do her project on an emotional level. She started to take a closer look at every breed and find out what the breeds relate to. She tried to picture what their lives were like. Starting with the owners they had, their common activities, the question if they came from an animal shelter or a dog breeder, which toy they enjoyed chewing, their favorite goodies, how much money the owner would spend on them etc. With some breeds she found it easier to work out their typical characteristics and in the end six types of dogs remained for her photo project. The Neurotic with his chewed up toys. The Senior who spends her days in hospital for medical treatment. 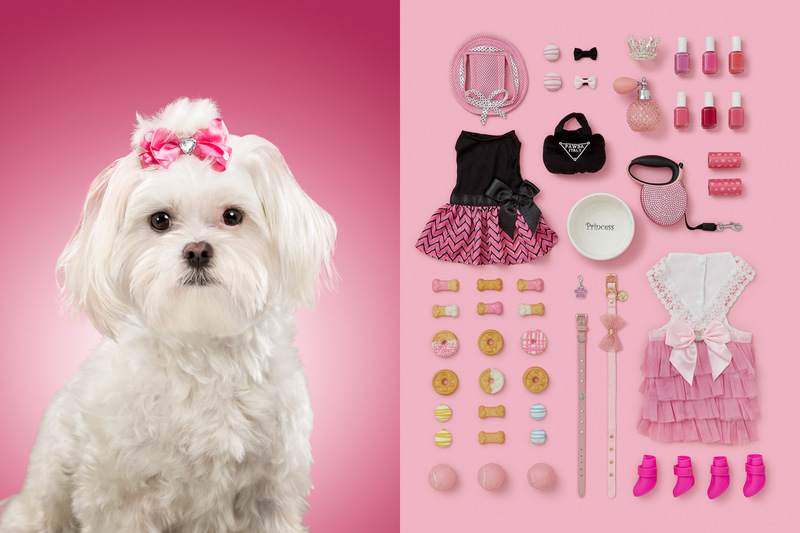 The Princess who lives in her pink world and has the most extravagant stuff. 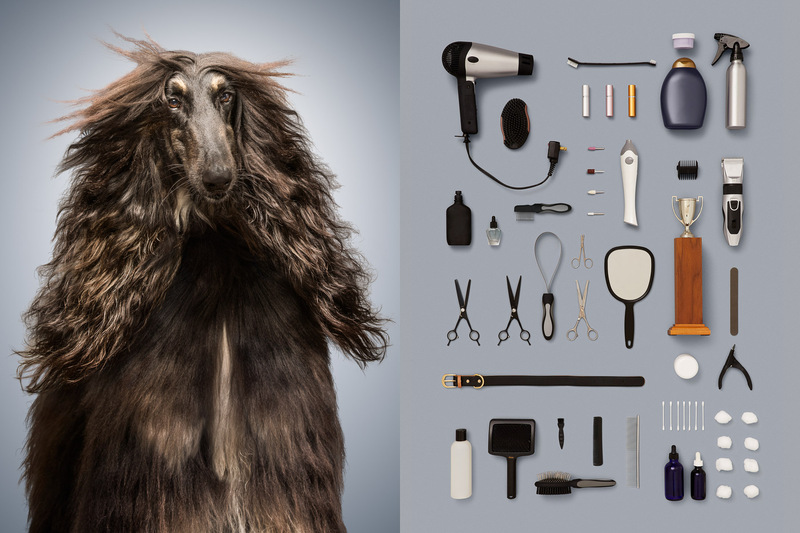 The Best in Show who lives the life on the fashion dogwalk. The Fetcher who’s obsessed with fetching almost everything. The Stray who lives on the street and tries to survive with what he finds. After browsing the dog shops for toys, accessories and goodies and finding the stuff that matched with these types, she searched Facebook groups and the Nextdoor App for suitable dog models. You can read the whole story about this project on the photographer’s website. In any case, she spared no effort and expense and the results speak for themselves. Besides the amazing dog portraits she really managed to find the things for her pictures that we’d actually relate to the portrayed dog. I find this idea brilliant and I’m already thinking about the stuff that would match my dogs in a most suitable and characteristic way.